Theater is about risk-taking. If your play is about an actual person, the stakes are higher. If the span of your subject’s life is so recent that it overlaps the lives of members of your audience, then the stakes go even higher. If you dare to stage a fictional encounter designed to capture and express the essence of the human being, then all of your chips are on the table. Kunstler excels at every level, bringing alive not only a famous character, but the era in which he lived and the controversies in which he played so lively a part. Sounds and sights set the stage. Before we see Kunstler himself, we hear protesters loudly denouncing his scheduled appearance to address a class of budding lawyers. His reputation precedes him. The floor in front of the podium is littered with refuse presumably thrown by the protesters. The law is messy. Exasperated by this display, a young African-American woman (Nambi E. Kelley) calls for maintenance to no avail; reluctantly, she does the cleanup herself, and we soon learn that she is just as reluctant a liaison on this day for this too well-known attorney. The law is controversial. The signature sight is the sudden appearance of the protagonist’s flowing white hair worn with panache by Jeff McCarthy who is energetic, persuasive, and dimensional in the role. For those who have hair, how to wear it is always a choice, and Kunstler’s choice is clearly theatrical, an insight into the man. There is some theatricality in every trial lawyer for sure. 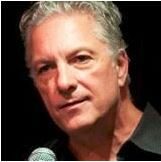 “Kunstler” shows us how central it was to this lawyer’s nature and methods. In his first few sentences, the character confirms this tendency by announcing that he has been invited to Caroline’s Comedy Club to celebrate his birthday, where he intends to do stand-up. He tries out a number of jokes on the young woman and us, for we in the audience are the students he engages, about to be given lessons in life and law. The primary lesson is this: that the law is as alive as Mr. Kunstler himself and this play’s portrayal of him. “The Law” he cautions is not something “handed down… on… polished marble by the gods.” It has inconsistencies and contradictions; it requires continuous interpretation. So does Mr. Kunstler, it turns out. He confesses to being a showman. In the interest of his clients and a higher purpose, he brings their cases to wide attention, challenging the “aura of legality” he says the system uses to advance its goals. He does all of this with amusement, passion, and transparency. At times he sings. He would dance if he had a more willing partner, but the young woman though respectful, keeps her distance. He is used to being distrusted. Kunstler takes us on a layered voyage through what the younger lawyer labels the attorney’s “greatest hits” — the early civil rights movement, the Chicago Eight, the Berrigan Brothers, the Vietnam Years, the American Indian Movement and Second Wounded Knee, and Attica. 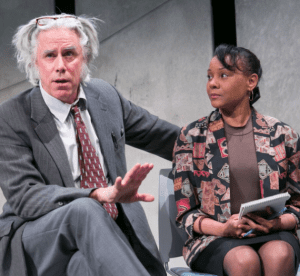 In the hands of the playwright, Kunstler’s compelling eye-witness account of five tragic days in Attica prison in September of 1971 in itself makes this theatrical experience worthwhile. All of this is delivered not as pure monologue, but as a dialogue with the young lawyer who holds her position and speaks her mind. Kelley, the actress, offers McCarthy as Kunstler a consistently convincing foil. At poignant moments, the character admits his failings and distinguishes between mere intelligence and wisdom, giving us the man. It is a fitting compliment to Kunstler to say that Kunstler, the theatrical iconoclast, would approve. So will you. With: Nambi E. Kelley and Jeff McCarthy. 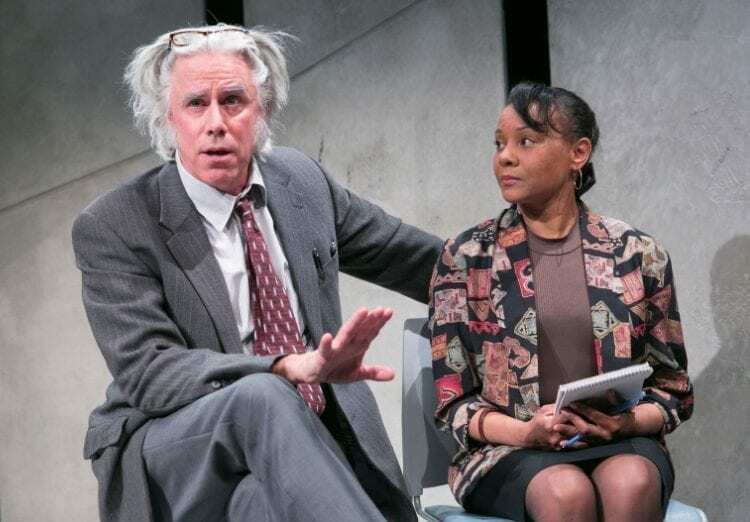 At 59E59 Theaters – Artistic Director, Elysabeth Kleinhans; Executive Director, Peter Tear; Managing Director, Brian Beirne – through March 12; Tuesday – Thursday at 7:15 PM; Friday at 8:15 PM; Saturday at 2:15 PM & 8:15 PM; and Sunday at 3:15 and 7:15 PM. Please note: there are no Sunday evening performances on February 26 or March 12. Performances are at 59E59 Theaters (59 East 59th Street, between Park and Madison Avenues). To purchase tickets, call Ticket Central at (212) 279-4200 or go to www.59e59.org.